Affiliate marketing programs. One of the most successful ways that you can increase online sales is to set up an affiliate marketing program. This allows you to gather people around you who are invested in helping you market and sell your product or service. Affiliate programs work when you have others sell for you. You assign each of your affiliates’ Web sites its own identifier. Orders come through that site to you. You fulfill the order, and the affiliate receives a commission off of each sale that results from someone ordering via his or her site. There is software to help you coordinate your affiliate marketing programs, and keep track of how much you owe your affiliates. 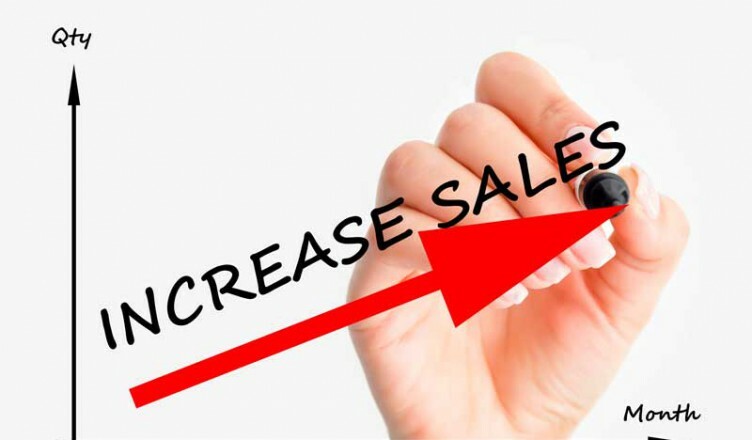 This is desirable because it gets your products and services out there at small cost to you (you don’t pay for advertising and marketing – just a portion of the sale), and the affiliate does a minimal amount of work, making it a desirable revenue stream from those associated with you. Pay per click advertising. Another way that you can inexpensively increase your online sales is through pay per click advertising. With pay per click, you only pay for ads when someone actually clicks through to your page. You pay depending on how many clicks your ad gets. In same cases, you pay as little as one cent per click. However, you have to be wary, since in some cases unscrupulous companies will pay surfers to click through so that you have to pay. Make sure you choose a reputable company that has an active history of catching click fraud. Search engine advertising. This is related to pay per click advertising. When you use this form of advertising, you are paying for a specific keyword or phrase associated with your business, or with your products and services. When people search for the term, your results come up in a special box at the top labeled “sponsored results.” Since search engines are fast becoming the most popular way for people to get information, it can be worth it to pay for search engine advertising, since you are more likely to been seen by more people. Google AdSense. You might notice that, on some Web sites, there are text ads related to the page content on the side. These are placed through a program known as AdSense from Google. Every time someone clicks on these ads, you get a portion of any sale that goes through. This is a simple way for you to get revenue through your business Web site. Another great thing about AdSense is that you can use what you make from ads on your own site to offset the cost of pay per click advertising that you might do on other Web sites. You can have Google place your ads on other sites for a fee. In many cases, it is possible to get free text ads when you combine your advertising with Google AdSense text ads on your own business Web site. Hosting others’ ads. You can also host banner ads from related Web sites. Allowing others to advertise their products and services on your business Web site, for a reasonable monthly fee, can be a good way to monetize your site. Affiliate programs. Affiliate programs work both ways. You can sell related products and services that may complement you business on your Web site. This way you are still providing something your customers may be interested in, but without the hassle of keeping track of it yourself. The Internet offers many opportunities to expand your customer base and make more money. If you are smart about your marketing and about other opportunities, it is possible for you to increase online sales and create additional revenue from your business Web site.